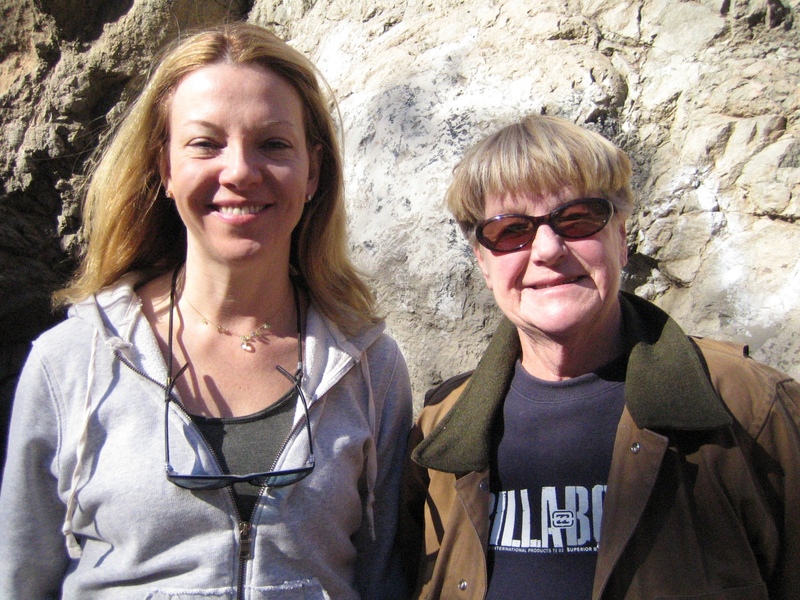 I met Anita Gordon soon after I moved to Beachwood Canyon in late 2005, on the street outside my house. Like me, she was walking her dog, so we spoke about dogs and the neighborhood, whose history she knew in great detail. More conversations followed, and we quickly became the sort of neighbors who would see each other frequently, but always by chance. Invitations to see my house were refused because our dogs complicated matters, but Anita was always available to chat and answer questions. It was she who first told me the Canyon’s name–so often misspelled “Beechwood”–came from its developer, Albert Beach, and that the Bronson Caves were actually tunnels excavated in the old Union Rock quarry so that trolleys could transport the granite out of the Canyon. Much of the stone traveled only as far as Hollywoodland, where it was used to build the Canyon’s massive retaining walls and staircases as well as the chimneys, garden walls and terraces of the new development’s houses. Anita also surmised that the Castillo del Lago-Wolf’s Lair trail was built as a continuation of Mulholland Highway, as evidenced by its paved portions, and then abandoned. After several months of shooting, I put an early preview of the documentary on YouTube that prominently featured Anita’s interview. She seemed pleased when I told her, but not particularly eager to see it. Because Anita didn’t use a computer, I offered to show it to her; still, she demurred. Meanwhile, I kept going on the documentary, eventually amassing more than 40 hours of footage. I made a short black-and-white re-enactment of Peg Entwistle’s last hour, which I turned into a short silent film and put on YouTube. I interviewed 34 others and did a helicopter shot of the Sign and the surrounding area. And I kept writing and researching, until the little neighborhood documentary I’d set out to make grew into a 2 1/2-year project, on which I worked seven days a week. Whether Anita ever saw any of it, I’m not sure. Though I’m told she was proud of her interview, watching it obviously was beside the point. Anita never saw the finished documentary, either: she died unexpectedly in October of 2008, less than three months before I screened the first cut for neighbors, crew, family and friends. There was a memorial service in the Village and another on Larchmont, where her various circles–Beachwood, St. John’s and family–came together for the first–and last–time. Anita was much mourned; she still is. Two years later, I regularly have to remind myself there’s no chance I’ll run into her outside my front gate, and that we won’t talk about Beachwood, or anything else, ever again. Until houses were built over them, there were five springs in Beachwood Canyon, an unusual amount of water for such a small, arid area. Because of them, the Canyon once teemed with wildlife. The springs drew deer, raccoons, skunks and possums; there also were foxes that disappeared as the human population grew denser. Following in their footsteps are Beachwood’s deer, victims of a shrinking habitat, speeding cars and, in at least one incident, illegal hunting. Not long ago, deer were as common here as coyotes. A friend who lived here in the early 90’s told me her neighbors left their garage door open when they went out to dinner one night and came back to find a deer inside. Another neighbor was startled by a buck running through the Village one morning. Though I’ve seen deer on Ledgewood, Mulholland Highway and Canyon Lake Drive, in the past two years I’ve seen none. 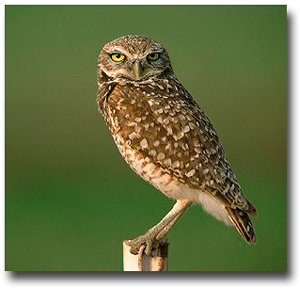 When I moved to the neighborhood in the fall of 2005, I was enchanted by the owls I heard hooting in the tree across the street. There were two that would call to each other late at night, one low-pitched and the other high-pitched. When I was editing “Under the Hollywood Sign” and wanted to record their sounds, however, the owls were conspicuously absent. 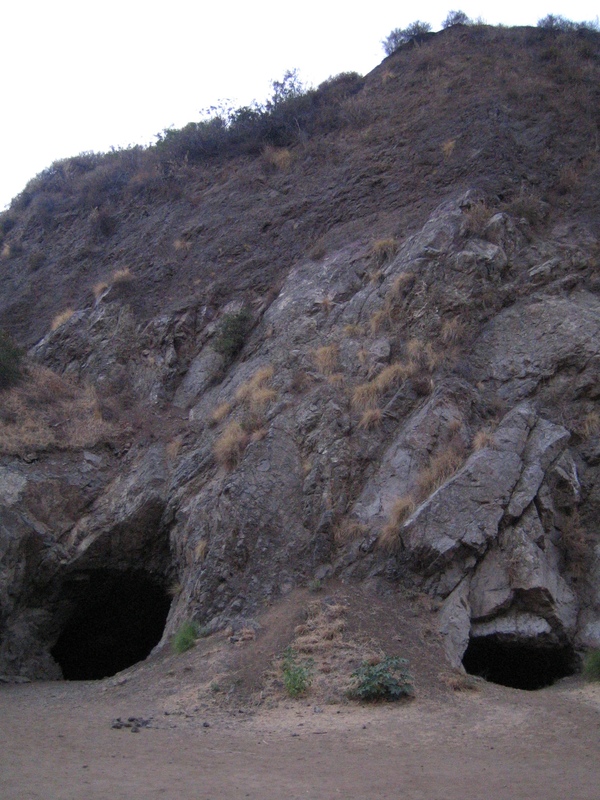 I had heard one in Bronson Canyon and hiked up into the quarry to record it, but by the time I set up the equipment and turned it on, the owl had stopped calling. All I captured was the cawing of crows. 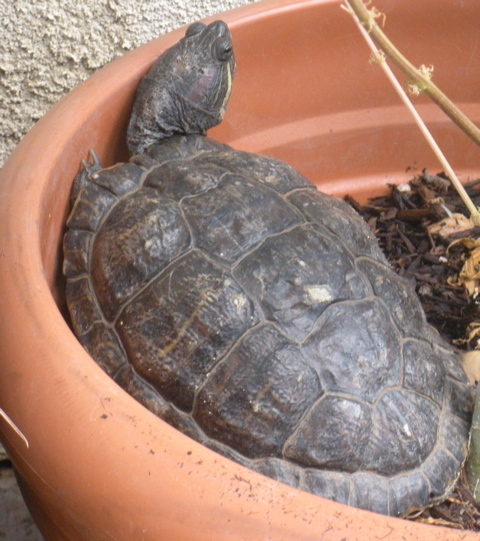 That same neighbor recently discovered an unusual visitor in his garden: a tortoise that landed upside down in a flower pot during the first rains of the season. He righted the tortoise, took this picture and sent it on its way. Like everyone who lives in Beachwood, I encounter an amazing variety of visitors on their way to the Hollywood Sign. The Sign draws a diverse international demographic, including multi-generational familes, busloads of school children, Mormon missionaries, sari-clad Indian women, motorcyclists, aspiring models and TV announcers, guitar-toting musicians, Segway riders, brides and grooms and recent graduates in cap and gown. The tourists most likely to hike up to the Sign are young Europeans and Asians. Americans–except for student groups–make the trip by car, although they often need to ask–or demand–directions. Until recently, I dutifully told them how to drive as close as possible to the Sign but lately, because of gridlock in the upper Canyon, I’ve been advising drivers to continue to the end of Beachwood Drive, where they can park before continuing on foot. Never mind that the views of the Hollywood Sign are spectacular from the Hollyridge Trail: they always resist. How different were the two elderly Asian women I once saw heading toward the Sign with the aid of walking sticks. Moving slowly but steadily uphill, they behaved more like pilgrims than tourists. I’m sure it never occurred to them to drive up. “Yes, no problem,” she said, waving me away. But she didn’t move. There was nothing more I could do, so I walked on. It occurred to me then that the experience of the Hollywood Sign is colored by individual perception, and that there are as many perceptions of the Sign as individuals to see it. The possibilities, therefore, are infinite. Whatever the distraught young woman eventually thought of the Hollywood Sign, her recollection of it will be forever colored by whatever it was that made her flee her companions. Like the Hollywood Sign’s iconic power, the reason for her defection remains a mystery. When I posted “On (Not) Keeping Wildlife Wild in Beachwood Canyon,” (September 7th), I didn’t envison it as the first in a series. After all, how much can one say about the folly of making wild animals dependent on handouts? I also thought my examples–burgeoning crow and squirrel populations and meandering coyotes–would address the subject once and for all. Ha. Lately Beachwood’s crows have attained heroic proportions: when they fly overhead, you can hear their wings beating–not only audibly but loudly. From the ground, it’s like being an insect in a Miyazaki film. 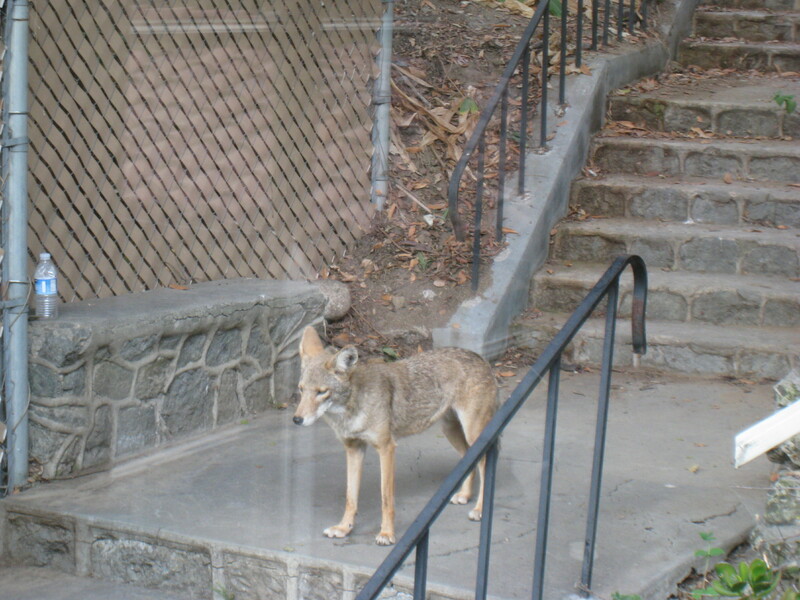 Ten days ago, I had a surprise morning encounter with “Wolfie,” the mange-ridden coyote discussed in the first post. I was walking my dog on Woodhaven when I saw Wolfie standing in the middle of the street, scratching himself. Although she desperately wanted to be let off the leash to chase him, as in the pre-mange days, we kept our distance while the coyote–now completely hairless except for his upper back–scratched his bald hindquarters. After 5 minutes of this, during which I found myself idiotically shouting, “Wolfie!–go away!” we turned around and took another route. Then there’s the huge rat I discovered a week ago Saturday. I had just pulled into my garage when I saw six inches of tail snaking down the back wall, behind some open shelving. A moment later I saw the rest of the rat, impressively scaling the wall behind my paint cans. From nose to tail, it appeared to be over a foot long, easily the largest rat I’ve seen at close range. I sat in my car, horrified. It wasn’t just its size that appalled me but the fact that, in an area where rats are a seasonal problem, my detached garage had always been a rodent-free zone. I’d often wondered why–since at various times rats have invaded my garden, deck and crawl space. Now I was discovering the truth: there’s no such thing as a rodent-free zone in the Hollywood Hills–or, judging from the number of bait boxes I’ve noticed in public places lately, anywhere else in Los Angeles. The rat’s size made confrontation impossible. I hastily exited the car, shut the garage door and didn’t come back until the next day, when I found the place quiet. In a fit of optimism, I assumed the rat had let himself out the way he got in, through a tiny gap in the side of the door, and called my exterminator. When the exterminator showed up on Wednesday, the rat revealed himself briefly before disappearing again. There are now six baited traps in the garage, none of which have snapped. Obviously, I have the Rat King on the premises. The mystery is why I can’t seem to find an exterminator willing to take him on. Where’s a coyote when you need one? 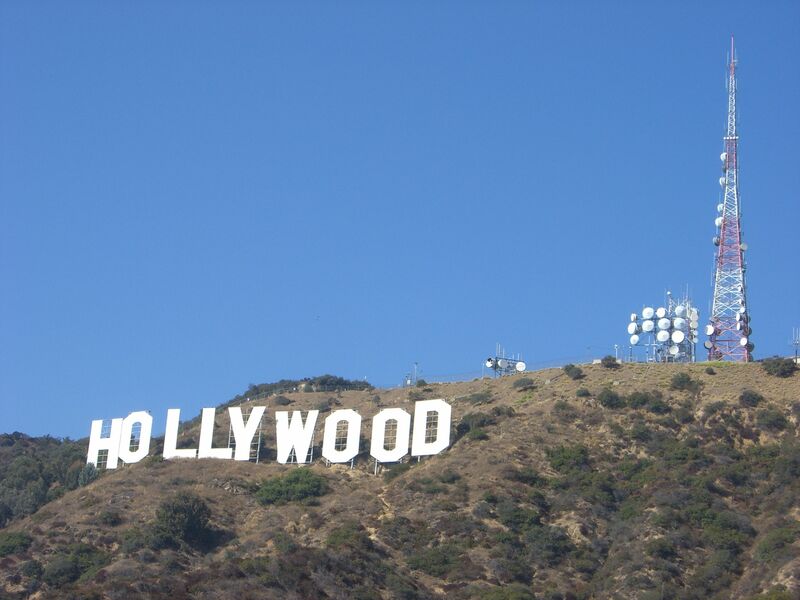 You are currently viewing the archives for October, 2010 at Under the Hollywood Sign.